Mod. 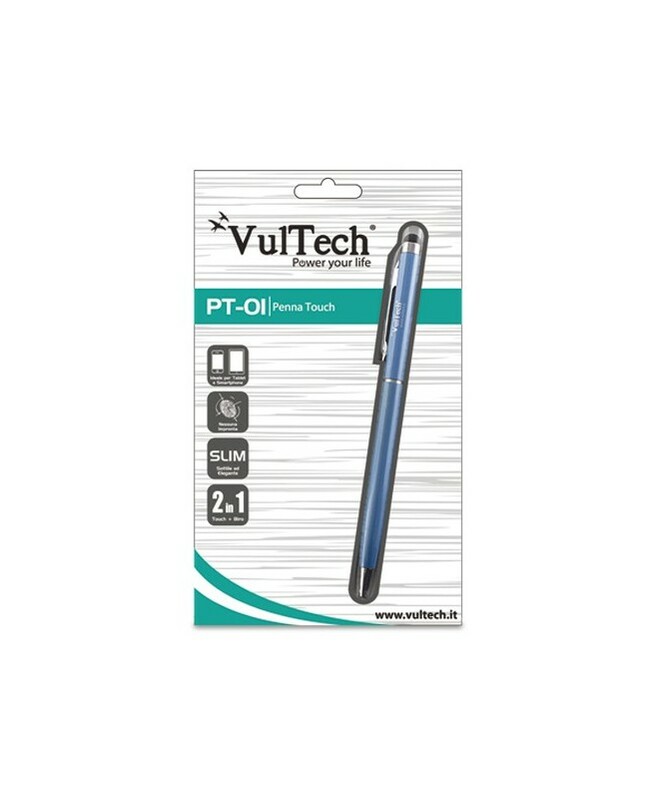 PT-01B - Capacitive stylus with for all touch screen devices. Colour: Blue. Ink: Black. VulTech® Touch Pen is designed to write as a ball-point pen or operate as a touch stylus for all touch screen devices. 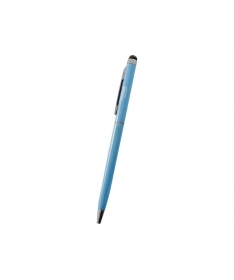 Suitable for all capacitive screen devices such as tablet and smartphone. 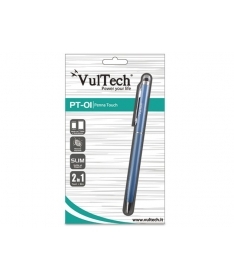 The PT-01B is a classical ballpoint pen with retractable medium point and black ink. Possibility to replace the nib once the ink is finished. Product in compliance with CE according to CEE standards.